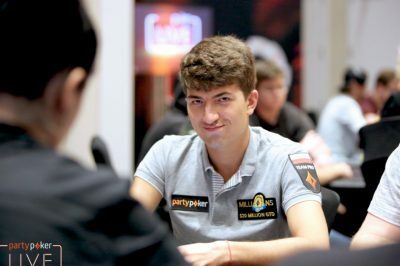 Talented poker pro and current partypoker Ambassador Dzmitry Urbanovich has topped the chip lead after Day 2A, going strong into Day 3 of the partypoker 2018 Caribbean Poker Party $5,300 Main Event. The spectacular $10 Million GTD tournament is currently running in the capital of the Bahamas, the beautiful Nassau, and will continue until Sunday, November 18. Dzmitry Urbanovich, a Polish-based player who is actually a Belorussian and among the youngest talents on the poker scene, bagged a massive stack of nearly 20 million at the end of Day 2A of the Main Event. He is currently in the top position of the temporary leaderboard and has a good chance at returning as the biggest stack on the third day of the tournament. Urbanovich (19,550,000) is closely followed by the Greek player Emmanouil Fountoulakis who has 19,100,000 in chips, while the third player on the ranking has just a little over 16 million. Canada’s Senthuran Vijayaratnam bagged 16,380,000 and right behind him, the fourth contender is the Russian poker pro Mikhail Vilkov with 16,000,000 in chips. There is still a ton of exciting poker action to determine the overall champion as the Main Event will not conclude until Sunday. Among the well-known players who qualified for Day 3 on Friday are Eric Baldwin (13,880,000), Cliff Josephy (11,710,000), Simon Deadman (11,300,000), Johannes Becker (11,150,000), Chance Kornuth (11,120,000) and partypoker Ambassador Joao Simao (10,500,000). Registration is still open and organizers are expecting more poker pros to buy into the tournament as the guaranteed prize pool is still not covered. 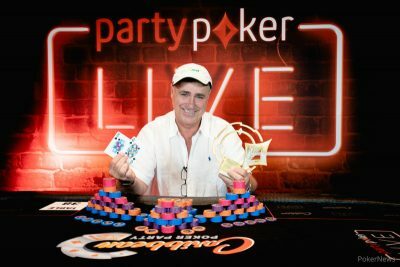 The 2018 Caribbean Poker Party $5,300 Main Event has a massive guarantee of $10 million, which requires an equally impressive entry field. Currently, the event has a total of 1,208 registrations and over the next 15 hours or so, another 800 players would need to enter the $5,300 buy-in tournament in order to cover the guarantee. Cards for the Main Event were in the air on Saturday, November 10, and the final, fifth day of the event will be held this Sunday. The Main Event is running alongside a great number of side events at the fabulous Baha Mar Hotel in the Bahamas. While there are several tournaments still live, including the exciting $250,000 Super High Roller, a few events already crowned their champions. One of them was the $50,000 Super High Roller, which drew in 54 entries and gathered a prize pool of $2,619,00. A total of seven finalists took home a share of it, with minimum prizes of $125,000. Giuseppe Iadisernia from Venezuela defeated them all, reaching the heads-up battle against Sean Winter. The US player lost with Queen-7 against Iadisernia’s Queen-10, remaining in the second place and receiving $550,000. His opponent took the $50K Super High Roller title and the top prize of $845,000. Yet another rewarding event finished on Tuesday, offering players even more generous prizes – the $25,500 MILLIONS World, which had a guaranteed prize pool of $10 million. The tournament attracted a total of 394 entries and 39 of them made it to the money levels with minimum cash prizes of $60,000. The $2 million first-place reward went to Roger Teska who defeated Steve O’Dwyer (2nd, $1,300,000) in the heads-up. The third player in the final leaderboard, Canada’s Charles La Boissonniere was the other contender who received at least $1 million.